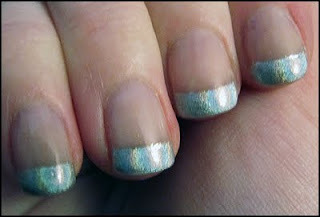 NOTD: Holo French! - Cherry Colors - Cosmetics Heaven! Today I quickly fixed my manicure because I was in a hurry, and the polish has chipped on one nail. I decided to use Nfu Oh #61 for the tip. It came out really well, and I realized that my dear loves subtle manicures. Ha. I love bold and 'screaming hot' manicures.